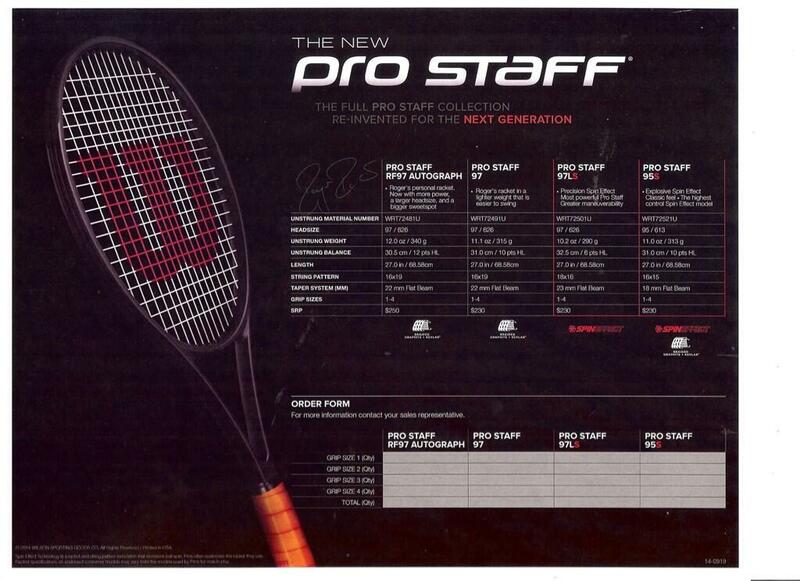 Three days after the heavy Roger Federer 2014 racquet rumor comes a leaked image, seemingly making it official*. The new Pro Staff, reinvented for the next generation. After nearly a year of seeing Roger Federer play with a blacked out prototype racquet, which was confirmed not to be a Blade 98, the new frame receives a name. The Wilson Pro Staff RF97 Autograph. 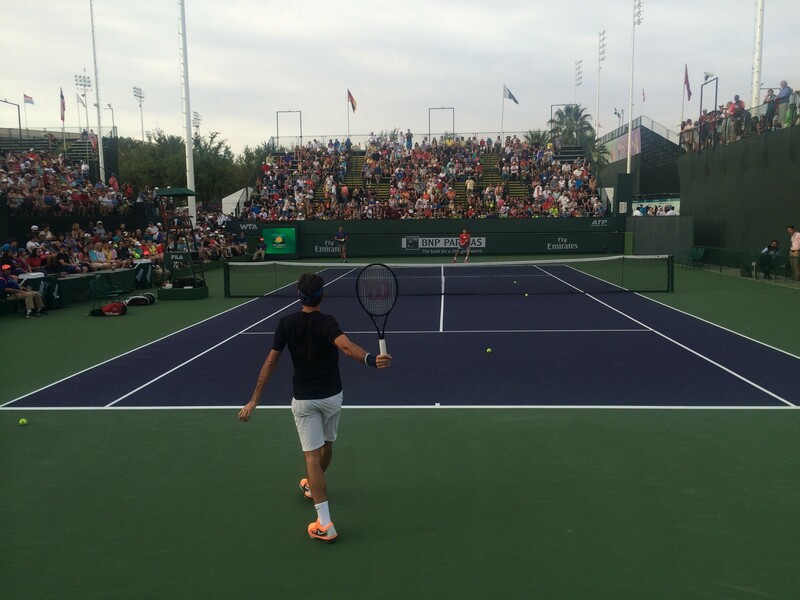 The Swiss maestro confirmed he would play with the new racquet in 2014 and stated that it was not the final version by any means. This new frame is notably 97 square inches, which may be to differentiate Wilson models, or it may be part of the small tweaking to the actual frame, which Federer spoke about briefly at the Sony Open in Miami (late March). The new line will feature four versions, detailed below. Roger’s personal racket. Now with more power, a larger headsize, and a bigger sweet spot. Roger’s racket in a lighter weight that is easier to swing. Precision Spin Effect. Most powerful Pro Staff. Greater maneuverability. Explosive Spin Effect. Classic feel. The highest control Spin Effect model. According to the previous rumor, the new line is slated to debut October 1, but it could be as early as this summer.